Today’s post is a bit different. It is the eve of the long weekend and it has me thinking of fun and sun and beach… so today I decided to write about some of the health benefits about going to the beach. You can even use this blog post as an excuse to get to the beach – hey, Doctors orders! Ok, I lied – this one is definitely number one. Many of the people who will eventually receive or read this post met me at first because I gave a talk in front of them at work about stress. speaking of sticking your toes in the sand… ever heard of earthing? It is the act of walking barefoot on the earth. The number one place we all do this because it is socially acceptable is on the beach. (But this can be done anywhere). Walking on the earth is purported to facilitate a negative ion exchange between the ground and the person which apparently has health benefits. Whatever, its relaxing. I always feel distressed when I do it and the sand is good for your rough calloused feet. So give it a shot! In just a few minutes on the beach in a bathing suit you can get your daily vitamin D replenished by your skin. Your skin makes cholesterol into vitamin D with UV exposure so get out there – not too long with out sunscreen though – be sensible! Happy Canada Day! One of my patients just posted this recipe and said I could repost it here because it looks soooooo amazing – I have not yet made it but maybe next week when I get some farm fresh strawberries. Anyway, who wouldn’t like a strawberry cake? Annnnd its Red and White just in time for Canada Day! Photo Credit to my Patient L.M.! I remember as a kid going strawberry picking each year with my mom. This year my fave farm has closed and I am not sure where to go so I may actually skip it for the year so I can figure it out…. sad I don’t have that place to go to anymore but such is life…. thank goodness there are still lots of strawberry farms around the GTA! If anyone has a favourite please tell me! Strawberry Cake here we come! Grease and flour a 10 inch round (or 9×9 square) cake pan and pre heat oven to 350F. Mix corn starch and 1/2 c sugar and sprinkle over strawberries as well as vanilla. Toss together and spread over bottom of pan. Cake batter: sift flour and baking powder together and set aside. In the bowl of an electric mixer beat eggs, and sugar together until foamy. Mix together butter and oil in a measuring cup and add slowly to egg and sugar mix as it continues to beat. Stir vanilla into milk, and fold in with dry ingredients alternating between wet and dry. Pour batter over strawberries and bake 50-60 min until a toothpick inserted in the centre comes out clean. Cool in pan 10 minutes before inverting onto heatproof serving plate and serve with whipped cream. Wanna look like the love child of a Naturopath and Martha Stewart? 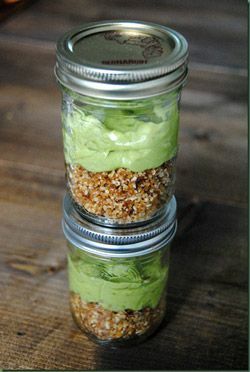 Try this recipe for individualized avocado key lime pies frozen in mason jars for your next summer BBQ or party – the beauty is they can be made ahead and frozen for 2-3 hours or longer, are healthy and taste great. AAAANNNNDDD are super cute. I mean look at them – look how cute they are! To top these cute little avocado key lime pies try this whipped cream made from coconut milk! Refrigerate coconut milk in can for 24 hrs or more and freeze beaters 15 minutes before use. Open bottom of can and pour out liquid and scoop cream into mixing bowl adding sugar and vanilla then beat and refrigerate till use. Ever thought of taking your baby to a chiropractor? 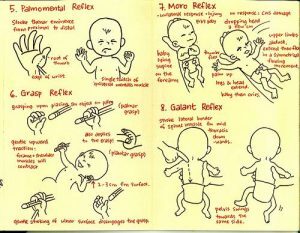 Babies and Chiropractic – Did the thought ever occur to you? I am always treating several babies at my office – most of the time Moms bring in their babies because they have noticed something that is either odd or that they may interpret as pain in the baby’s behaviour. Generally they have already consulted the pediatrician and found out that nothing serious is going on. Usually the pediatrician reassures the parent that ‘it’s nothing’ or ‘they will grow out of it’. More and more us Moms are trusting our guts… and this advice, while reassuring, isn’t always fully satisfying. So Mom goes in search of answers and hence we have Babies and Chiropractic stories to share! I then do a through exam (including but not limited to: a physical observation, infant reflexes, palpation of the spine and musculature. I will also often listen to the lungs and heart as well – if there is a specific problem that the baby is coming in about there is also a focused exam regarding that. 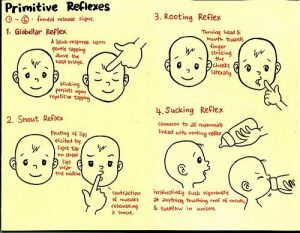 Here are some cute pics and instructions on how to check some infant reflexes – now don’t panic if they are not on your baby, chances are that the pediatrician has checked them so far and if they haven’t flagged anything for you the baby is fine. Got it? Also, never Google stuff. Bad for the mental health. Also don’t do #7 if you haven’t been trained – too easy to drop baby! Ever been to a chiro and had an adjustment? If so you may not be able to imagine Babies and Chiropractic – I mean really Karen, I am not letting you do that to my baby how could they stand the force? So the youngest baby I have adjusted was a few days old…. It’s not the same force as we use on adults – don’t be cray cray! We use what we call eyeball pressure – that is exactly as it sounds: close your eyelid and put your index finger on your lid and push gently down on your eye – just a comfortable amount. That is eyeball pressure and that is what we use on babies. I mean really, the poor teeny things don’t even have ossified spinal segments yet we gotta be gentle! The amazing thing is that babies respond really really fast. I had a baby in the office for a check up and she happened to have a buch of sinus congestion so I did a few sinus trigger points and within about 10 minutes here nose was running like a faucet. Her mom said that previously all the junk just stay stuck up there and made it hard for her to breathe. Avocado Deviled Eggs: Ok, so here is a recipe full of good fat and protein. Perfect for me this week as I am full on into keto diet again – eating tons of veggies, protein, fruit and good fat… This diet is pretty sustainable and healthy if done properly – the trick is that you have to do some prep work AND have tasty things to eat – and who doesn’t like avocado and deviled eggs? Hence – Avocado Deviled Eggs! Cut the hard boiled eggs in half and take out yolk. Mash the yolks and 1 avocado together and add 1 tsp finely chopped cilantro, lime juice, onion and salt and pepper. Whip together – you can even use a hand blender on whip to get it nice and smooth – then place by the spoonful into the 6 egg halves. Sprinkle with chili or paprika. That’s it – simple yet tasty as always! So for the last 5 years I have thought about buying an ice cream maker… ever since I saw one at Costco for about $40 and didn’t buy it. You know what happens when you don’t buy something at Costco right? Ya, it’s never there when you go back for it. So every year this time I think about buying an ice cream maker. I hem and Haw and don’t end up buying one… I have really no idea why other than I really don’t have space for another kitchen gadget…. and so I keep stalling. Place strawberries in a microwave safe bowl and sprinkle with sugar. Microwave until strawberries soften a bit and sugar dissolves in juices. That’s it – you can also freeze this and then just take out 10 minutes prior to serving to allow to melt a bit. 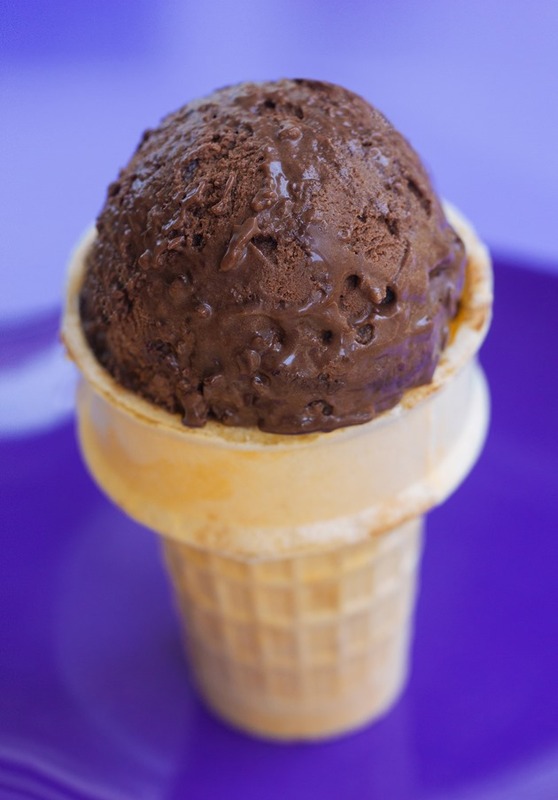 Blend all and serve – freezes well as well! Put all into blender and blend till creamy – then serve. that’s it! Can also be frozen and taken out to thaw a bit so you can scoop it. Plantar Fasciitis – Um …. what? This is according to a quick Google Search… clear as mud now? Even if you have had treatment and no success in the past there is still hope. I have helped lots of people with this condition basically because I tend to try to throw everything I know at it – it is a stubborn one so I have found over the years that is what tends to work. and this one is key: do not go barefoot – I mean at all – running shoes and orthotics on as soon as you roll out of bed in the morning (this isn’t forever – just until it heals). The plantar fascia is a thick band attached to the heel bone. Despite what it says above about inflammation plantar fasciitis is actually a micro tearing (or even a macro tearing) of this fascia away from the bone. It hurts every time you stand after laying in bed for 8 hours because it has started to heal and then you stand up and tear it away again. Orthotics are crucial because they help approximate the bone and the tendon, not allowing it to pull away as much and tear away repeatedly…. this gives the body time and a chance to actually heal the damn thing! So anyways, even if you have had this for a while, there is hope and help out there! yep, that’s me. Mojito master. 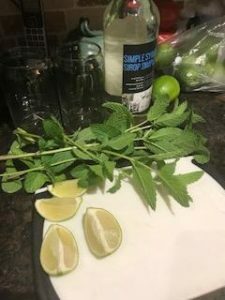 It is pretty universally agreed amongst all who have tasted my famed mojito that I kill it. I planted mint in my garden and have let it pretty much take over a good corner… I highly recommend this so that you can always have a fresh supply. so here we are – Early June and HOT… way hotter than usual at this time of year. So today I sent the hubby on a special errand to the store to buy limes and simple syrup. We buy the simple syrup made by Presidents Choice – which is very good. You can make it on your own but the PC brand keeps longer in the fridge. mix 2 cups of water with 2 cups of sugar and heat until all of the crystals dissolve. Cool – ya that’s it. muddle the mint leaves directly in your glass. Add rum,simple syrup and squeeze lime over top. Mix with spoon. Cover with ice and then top up glass with soda water (use a small highball). 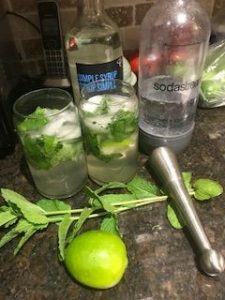 Today marks the first of our summer Mojitos drunk while watching the Stanley cup Finals with the Golden Knights and Capitals tied at 1-1 in the series. What else could be better?